Get ready to infuse some Las Vegas and Atlantic City charm into your game room! 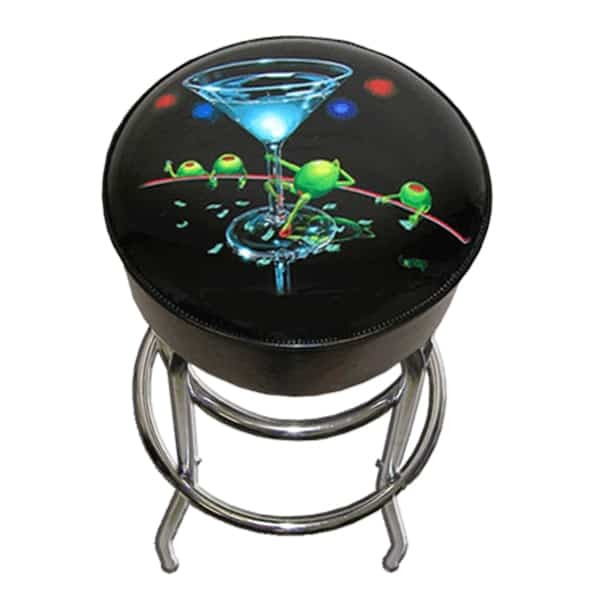 This hip bar stool features artwork by Michael Godard with one of his famous olives dirty dancing around an over-sized martini glass for several olive patrons, in a scene right out of a Vegas or Atlantic City gentleman's club. Michael Godard exploded onto the art scene with paintings featuring adult themes such as gambling, motorcycles and martinis. Now you can bring a piece of his artwork to your basement bar or game room with this bar stool!